Photographic Exhibition prepared by Kathleen Myers (Professor of Colonial Latin American Literatures, Indiana University) and Steven Raymer (Professor of Photography, Indiana University, and National Geographic). Look Out! Art Gallery, Residential College in the Arts and Humanities, Michigan State University. Events include opening talk by Professor K. Myers with comments by Professor Sheila Contreras (Chicano/Latino Studies and English, MSU); round table discussion with professors Amber Brian (U of Iowa), Rocío Cortés (U of Wisconsin, Oshkosh), Kelly McDonough (U of Texas, Austin), Dylan Miner (MSU), Zenaida Moreno (MSU), Laura Smith (MSU), and opening and closing receptions. For further information visit: www.cal.msu.edu/Cortes and/or open the following: Poster Cortes Exhibit and Cortes Exhibit Postcard. The TePaske Seminar (named in honor of John J. TePaske) is a vibrant and collegial gathering of scholars organized in a workshop-fashion, with 10 pre-circulated papers presented over the course of 2 days. Please direct any questions about the seminar to either Alejandro Cañeque (acaneque@umd.edu) in the Department of History at the University of Maryland or to Joanne Rappaport in the Department of Spanish and Portuguese at Georgetown University (rappapoj@georgetown.edu). The organizers would like to thank the following sponsors for their support: The Department of History and the Center for Latin American Studies at Georgetown University, The Department of History at the University of Maryland, College Park. 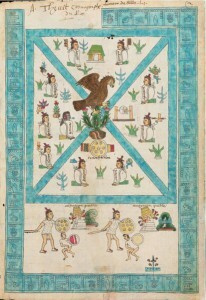 Codex Mendoza was created in 1542 after the command of viceroy Antonio de Mendoza, who was seeking to have a comprehensive political, economic and social history of the newly conquered territories. 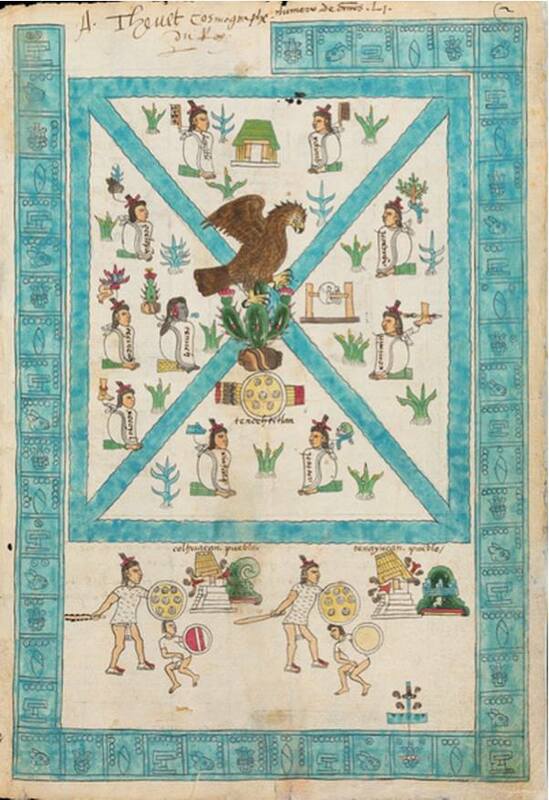 This codex is considered on of the fundamental sources for the study of pre-Hispanic Mexico. Colonial Texts and Communities of Readers Chair: Mónica Díaz, University of Kentucky. Engaging with the presidential theme for MLA 2016, “Literature and Its Publics,” this panel focuses on the material history of the production of texts – in both manuscript and printed forms – and of their public reception throughout Latin America’s colonial period. We are especially interested in papers that address specific communities of readers, for example religious communities or ethnic communities. Some relevant questions that could be posed are: what were the politics of production, circulation, and preservation of texts? Who could have access to them and for what purposes? How has the public reception of colonial texts changed with time? Please send one-page CV and 200-word abstract by MARCH 1st to Mónica Díaz: monica.diaz@uky.edu. The Economics of Empire in the Early Modern Iberian World. Chair: Nicolás Wey Gómez, California Institute of Technology. 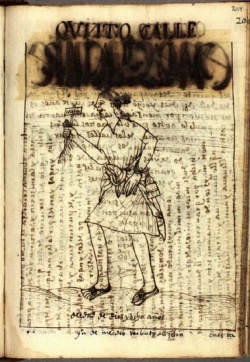 Describing the first bartering activity between his crew members and native peoples in his letter to Luis de Santangel (1493), Columbus was quick to formulate the economic logic that, no doubt in his view and the Spanish crown’s, justified European presence in the Indies: the natives were to “give us those things they have in abundance and which are necessary to us.” The letter announcing the discovery also makes it instantly clear that the exchange between what one had in abundance for what one ‘wanted’ reached far beyond material goods: while Europeans allegedly had religion, government, and customs to give to the Indians, native peoples were to supply labor and raw and manufactured goods to the Europeans. Columbus was certainly not the first colonizer in history to construe economic exchange this broadly. Such an inclusive understanding of economics had even been theorized in antiquity by Aristotle himself, who, in his Politics, saw the reciprocal exchange between differently ‘wanting’ members of families, villages and city-states as the very key to human survival. Columbus was merely extending this logic across the Atlantic in the interest of colonial empire. This panel invites papers that examine not only this logic of empire, but also the myriad economic exchanges imagined by colonial authors across time. Please send one-page CV and 200-word abstract by MARCH 1st to Nicolas Wey-Gomez: nwey@caltech.edu. NON-GUARANTEED SESSION: Paradoxes of the Enlightenment and the Liberal Revolutions: Sugar and Coffee over Freedom? Chair: Ivonne del Valle, U.C. Berkeley. Respondent: Ana Hontanilla, The University of North Carolina Greensboro. The debates of the radical Enlightenment and the liberal revolutions promoted ideas of equality, independence, and freedom contrary to slavery, an institution that, nevertheless, lasted until late 19th century in the Spanish colonies of Cuba and Puerto Rico. This panel seeks papers that address the legacies of the Enlightenment and Liberalism on the ideas regarding the African races, the labor they were forced to perform, and the social space they were supposed to occupy. What ideological and rhetorical tools were used to broach the contradictions around slavery as a practice by 18th and 19th century thinkers across Spanish territories? How were these tensions present not only in their writings but in everyday practices? We seek papers that illuminate ideological and pragmatic changes brought about by the Enlightenment or the liberal revolutions as well as papers that elaborate on how African descendants actively participated in these processes. We also welcome contributions that address: 1) the anti-slavery and pro-slavery dialogues that took place in the larger context of 19th century abolitionist movements, and 2) the possibility of a radical Enlightenment thinking on slavery and the obstacles these ideas might have faced. Please send one-page CV and 200-word abstract by March 1st to Ivonne del Valle: idelvalle@berkeley.edu. Michigan State University is pleased to host In the Shadow of Cortés: From Veracruz to Mexico City, designed and prepared by Professor Kathleen Myers (Indiana University) with photographs by Steven Raymer (National Geographic and Indiana University). The images in this exhibit record a journey along Cortés’s route of conquest, and interviews with the people who live in these places today. This journey reveals much about Mexico’s complex identity and its variety of ways to understand the legacy of a conquest that took place nearly 500 years ago. A message from Ann De León, Chair of the Colonial Section at LASA. Numerous calls for papers of interest to scholars of the colonial period (including MLA 2016. 10:30 a.m. -12 m.: Mesa 4: Escritura y poesía en la Nueva coronica y buen gobierno. 7:00 p.m. Clausura: Dr. Gonzalo Espino Relucé, Director de la Escuela Académico Profesional de Literatura. Uno de los cronistas más valiosos de Nuestra América es don Felipe Guaman Poma de Ayala con su obra Primer nueva coronica y buen gobierno. En ella nos muestra la enorme riqueza sociocultural andina cuya vigencia perdura. Por ello se ha constituido en una de las obras más estudiadas en el ámbito académico; precisamente, la densidad sociocultural de su texto es la que convoca en forma permanente nuevos estudios. Por esta razón, dos universidades latinoamericanas se proponen debatir los aportes a los estudios sobre Guaman Poma de Ayala y valorar la vigencia de su obra. En tal sentido, la Escuela Académico-Profesional de Literatura de la Facultad de Letras y Ciencias Humanas de la Universidad Nacional Mayor de San Marcos – UNMSM (Lima, Perú) y el Posgrado Interdisciplinario en Estudios Latinoamericanos PPG-IELA de la Universidade Federal da Integração Latino-Americana – UNILA (Iguazú, Brasil) invitan a participar a los investigadores y especialistas en el Primer Congreso Internacional Interdisciplinario Guaman Poma de Ayala: las Travesías Culturales. Propiciar el diálogo interdisciplinario de investigadores especializados en la obra de Guaman Poma de Ayala. Intercambiar experiencias entre los investigadores que abordan los diversos aspectos de la obra de Guaman Poma de Ayala. Establecer un balance de los estudios sobre la obra de Guaman Poma de Ayala. Estimular la participación de investigadores y estudiosos en proyectos e investigaciones interdisciplinarias y transdisciplinarias a nivel internacional. Los estudios deben estar vinculados a la obra de Guaman Poma de Ayala, los mismos que deben ser producto de investigaciones originales; reflexiones o pesquisas que se hacen como parte del área de estudios o un área de reflexión disciplinar universitaria acreditada por sus respectivas instituciones o centro de investigaciones.